LERN Institutes a Big Hit! The LERN Annual Institutes in New Orleans were a success. Over 100 people attended and Suzanne Kart, Dan Torrez and the LERN Team did a great job coordinating. I presented the Operations & Staffing Institute with Holly Klotz from Schoolcraft College. Lots of wonderful and talented people and interesting discussions. Had some fun dinners out and the hotel was on Bourbon Street, so plenty of activity to watch! 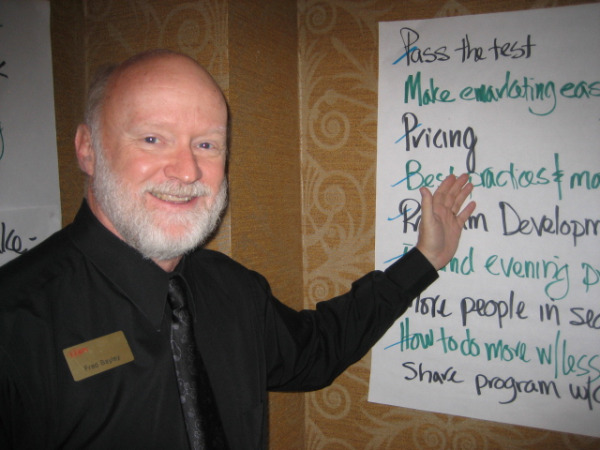 PHOTO: Fred Bayley presenting at PMI…Bless his heart!